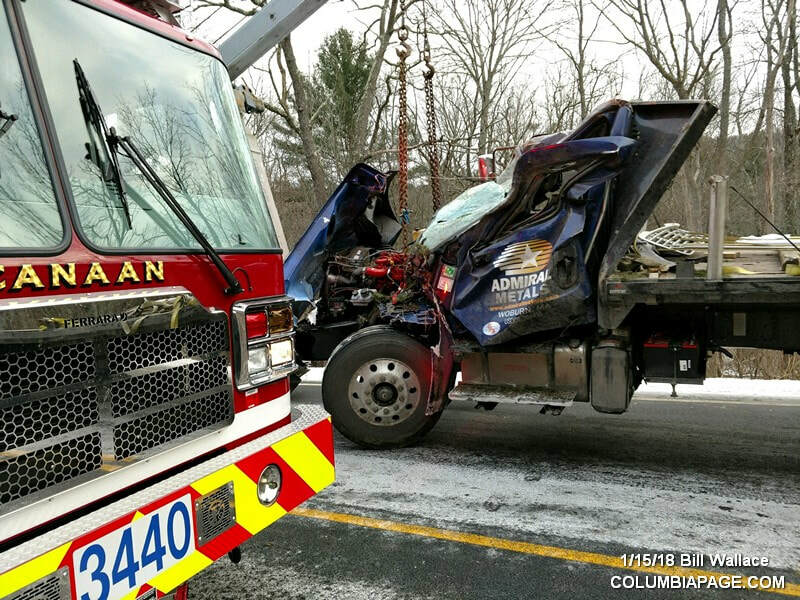 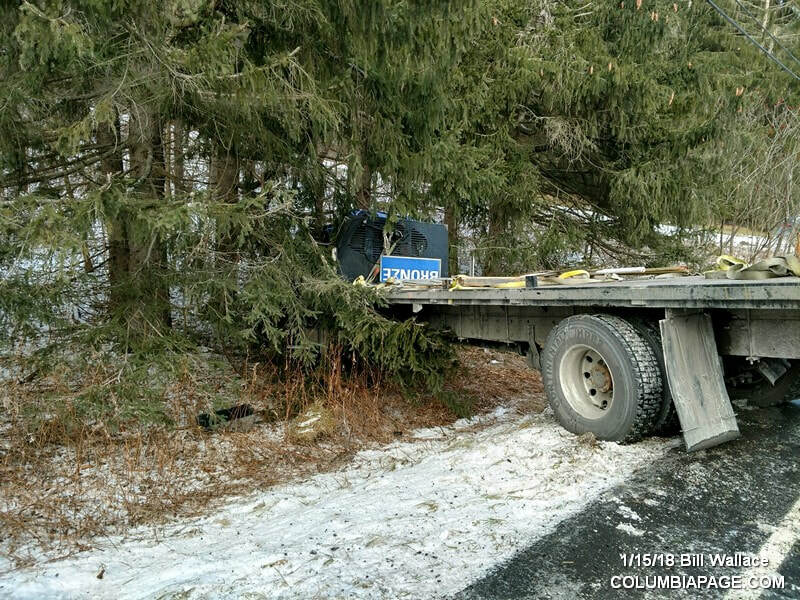 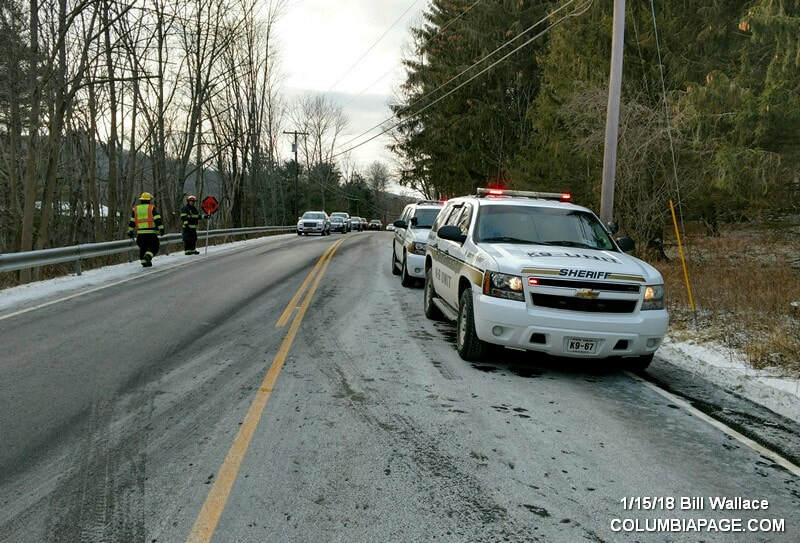 Columbia County 911 dispatched Canaan Firefighters, Chatham Rescue and under mutual aid Red Rock firefighters at 2:02pm for a reported accident with injuries. 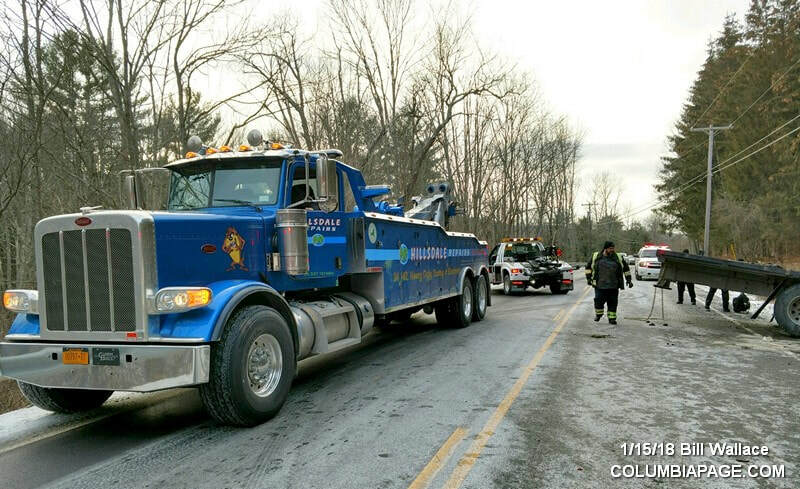 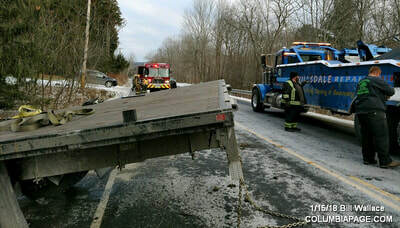 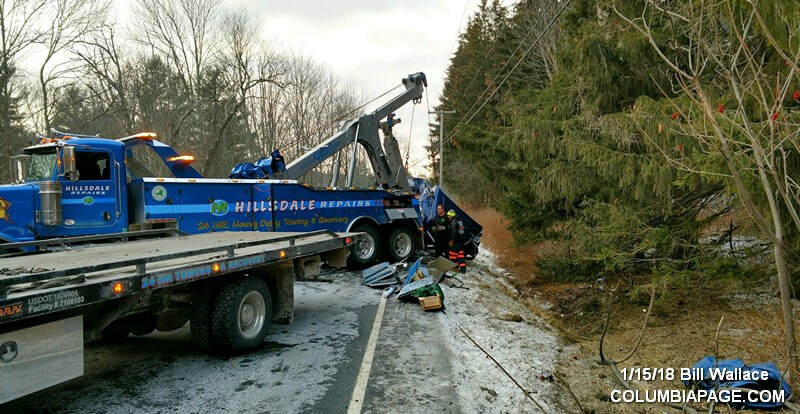 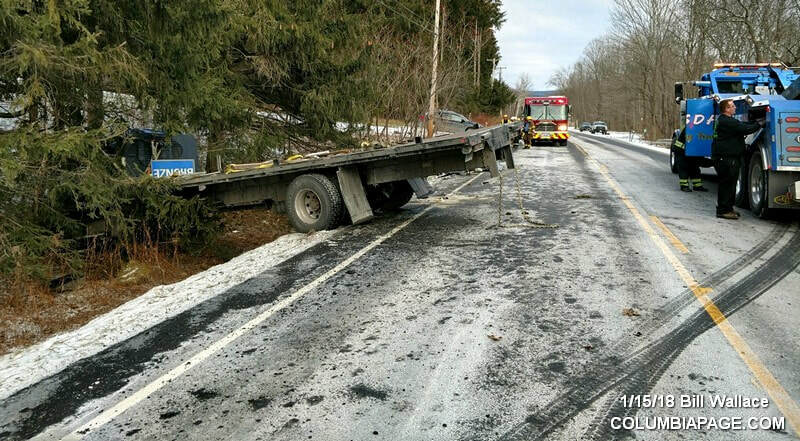 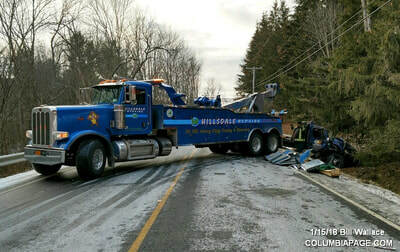 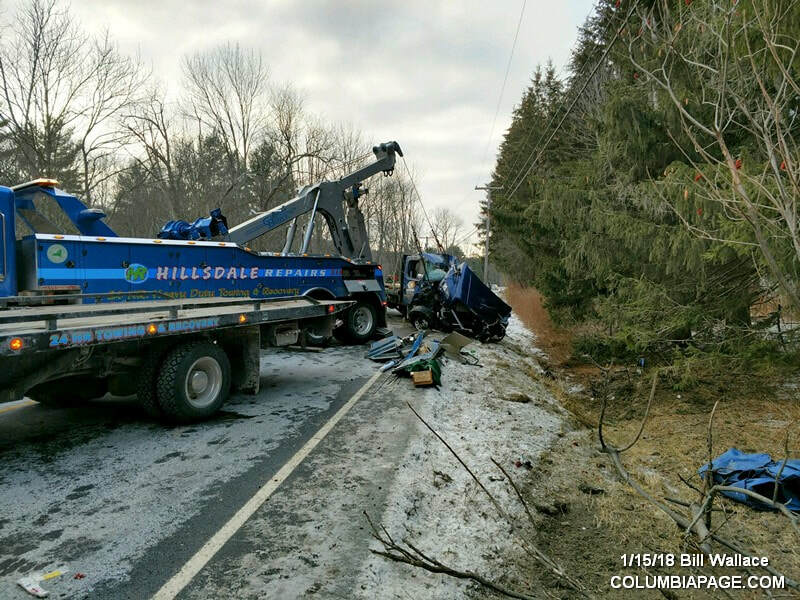 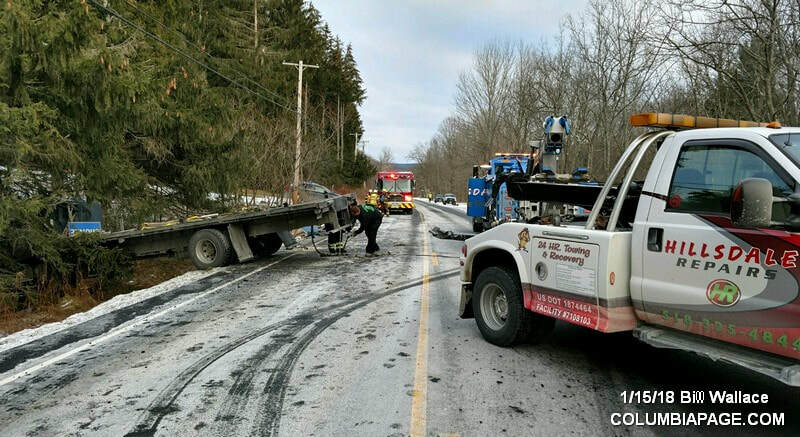 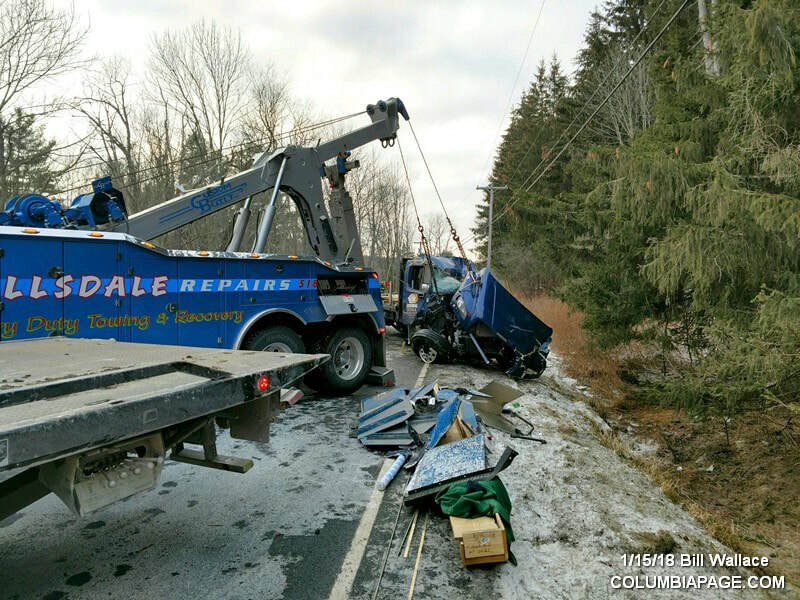 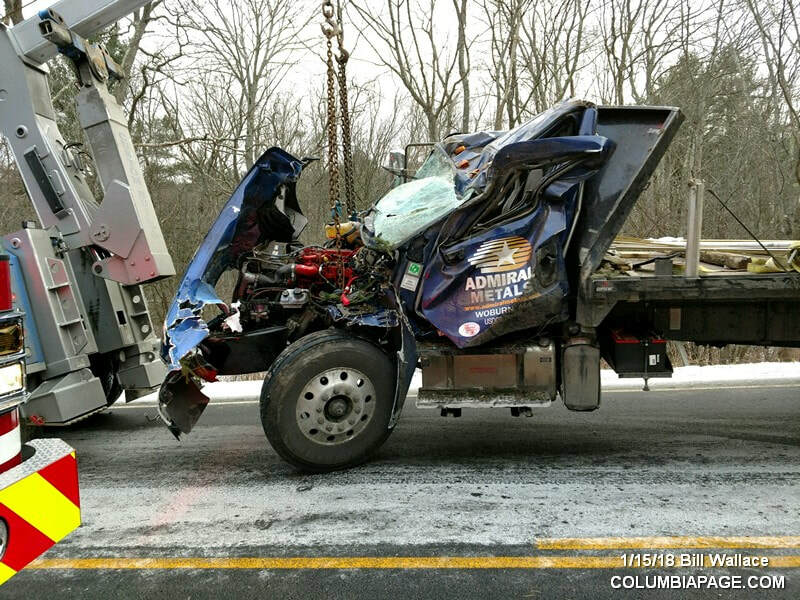 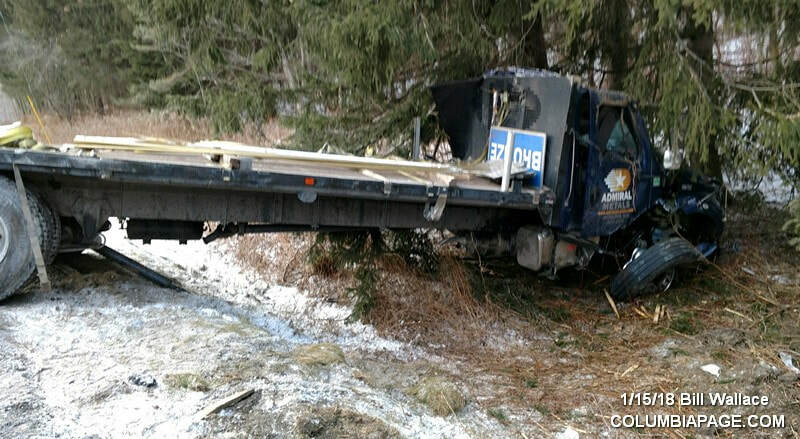 The accident occurred on Route 295 west of Schillings Crossing Road in the Town of Canaan. The Department of Environmental Conservation was notified of the accident due to a diesel spill. Canaan Command reported one gallon spilled and fifteen gallons collected. 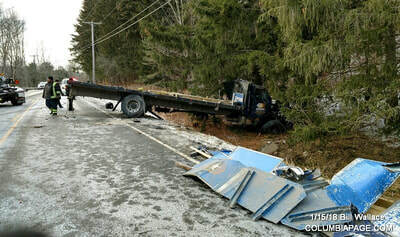 Wood wedges were used to stop the fuel tank leak. 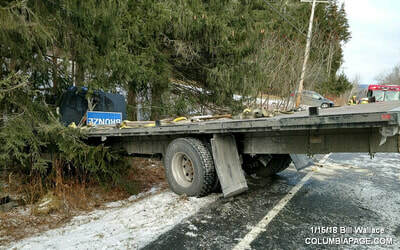 Route 295 was down to one lane during the incident. 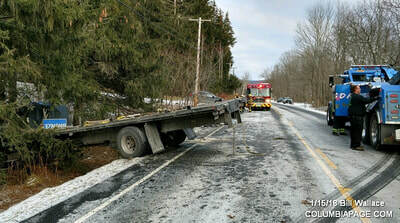 The NYS Department of Transportation responded to the scene. Chatham Rescue transported one to Albany Medical Center.